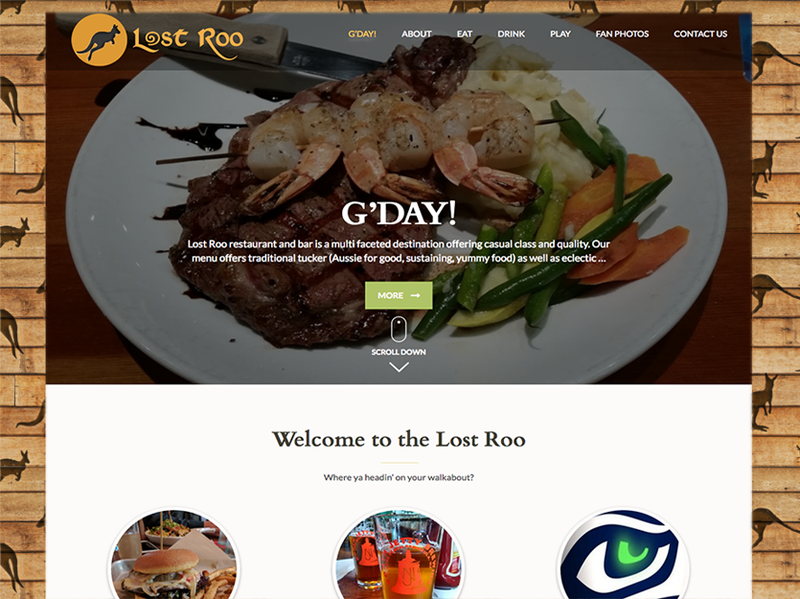 The Lost Roo is a popular restaurant and bar offering a quality dining experience with a casual feel. The Lost Roo menu offers traditional tucker (Aussie for good, sustaining, yummy food) as well as eclectic dishes all offered in a creative way. Ed note: it is difficult to write with drool on the keyboard. The bar has an excellent selection of beers and wines, premium spirits, and an impressive scotch selection. The house cocktails are well made and presented; nothing fussy and often with Pacific Northwest flavors. Sports fans will appreciate the HDTVs that make viewing available from any seat in the restaurant or bar. Watch for specials on important game nights, when the restaurant turns into the pace to be for fans. This writer enjoys the enclosed garden deck in the summertime where you can feel like you’re outside without the wind and mosquitos that often make an appearance at truly outdoor venues here at the beach. The Lost Roo changed hands recently, with long-time employee Tania, along with husband Travis, Miller took the reins. The website hadn’t hanged much since we built it before the restaurant even opened in 2010, and was in desperate need of an update. We updated the theme, giving the site a new look/feel while retaining the branding in place. The background tile is reminiscent of wood you’ll find in the restaurant and, just like the Lost Roo itself, you’ll find kangaroos burned into the background. Most of the site photos come from customers! Rather than shoot photos for the site, we decided to let the Lost Roo experience be expressed by real people who have enjoyed the restaurant and/or bar. You’ll find customer comments and photos sprinkled throughout. The site focuses on the three things people do at the Lost Roo: Eat, Drink, and Play. Click about and see for yourself!